As a big fan of natural beauty products, I really like the range of Montagne Jeunesse skin care. Not only are the products made from natural ingredients but they are also vegetarian-approved and paraben free. 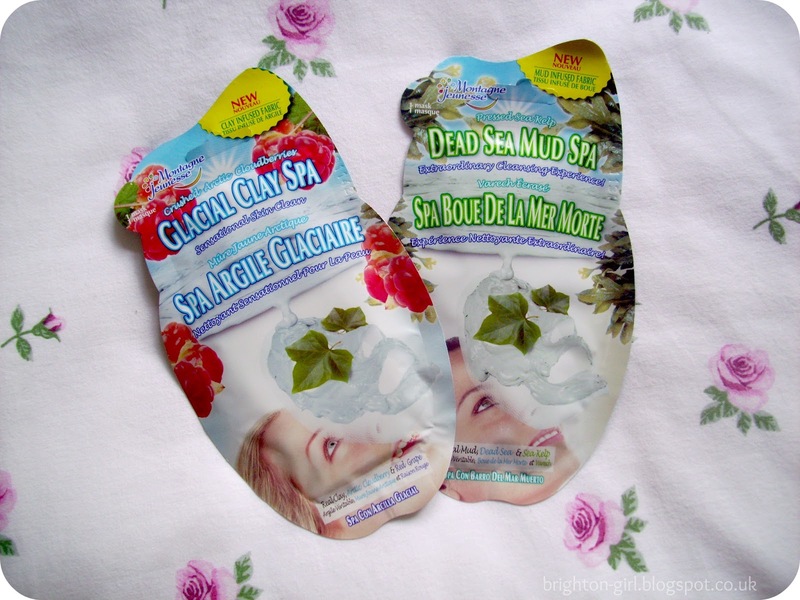 Two new additions to the extensive range of face masks are the Glacial Clay Spa mask and the Dead Sea Mud Spa mask. Both use the innovative technique of infusing bamboo fabric with clay. 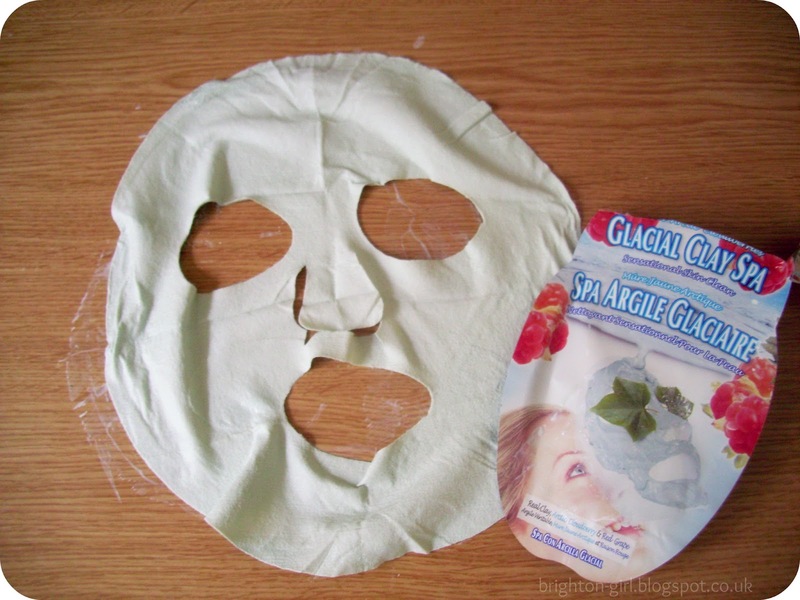 I've never used a fabric mask before and was keen to try them out. Both masks were extremely easy to apply; you simply unfold the bamboo fabric and smooth it onto your face after cleansing. You then leave them on to work their magic for 10-15 minutes before removing and rinsing off the clay residue. I found that after some tactical smoothing and adjusting the masks fitted my face reasonably well and both felt extremely comfortable to wear. The Dead Sea Mud Spa mask has a fresh scent to it. Seaweed and kelp make this mask packed with minerals and vitamins. I found that my skin was super soft after using this one. I also found that it was perfect for tackling my oily skin, afterwards it felt more matte and my pores were noticeably reduced for at least a full 24 hours of using the mask. The Glacial Clay Spa mask also smells fresh and clean. As well as glacial clay, this mask is anti-oxidant rich thanks to the cloudberries and red grapes. After using I found that my skin was visibly hydrated and clearer. The only slight negative point I have with the masks is the fit of the fabric. However, this can be overcome with some clever folding and rearranging. I really like these masks. Montagne Jeunesse is a brand I can trust to be packed full of natural goodness and produce products that actually work. I'm really impressed by the Dead Sea Mud Spa mask and it's pore minimising capabilities and can see it becoming a regular feature of my weekly skin care routine as it's so affordable. It's not just the face masks that I'm impressed with. "Montagne Jeunesse is proud of its uncompromising natural credentials and ethos for ‘Conservation of Energy, Protection of Animals and the Environment.’" In the past the company has launched campaigns to save animals, built a wind turbine to reduce their carbon footprint and it's factory is super eco-efficient. Their dedication to their eco values is commendable and I wish more beauty companies would follow suit. Montagne Jeunesse Clay Spas are £1.49 and available from Boots (Mid-August), ASDA (September) and now available at www.montagnejeunesse.com.